It’s not uncommon for people to be unaware of the educational requirements of cosmetic medical professionals to be able to preform treatments such as Botox, Dysport and Dermal Fillers. With the increasing trend in salons, spas and other medical business’s now offering cosmetic injections it is in the consumer/patients’ best interest to be informed of their cosmetic injectors credentials prior to selecting a clinic for treatment. It is best your injector be a Medical Doctor. No weekend courses can replace a full-fledged Specialty Fellowship with years of training in advanced facial anatomy and cosmetic injections. You should always ask your provider how experienced they are in the Cosmetic Medicine field. Where did they do their training? For how many years? Do they continue to be educated on new treatments, technologies and advanced techniques? Before having any cosmetic procedure, your treatment provider should inform you with an in-depth consultation regarding the treatment you are seeking and review all options available to you. You should be asked to provide a brief medical history outlining any previous treatments you have had, any allergies or medications you may be taking that potentially may contraindicate treatment. It is important to remember that Cosmetic Injections are medical treatments. There is always the possibility of an adverse reaction or side effect occurring. In most cases it is common things such as swelling or bruising. However, extremely rare complications can occur which may require immediate medical treatment. Is your treatment facility equipped to deal with a complication? You want to make sure that the place you select is medically equipped and educated on how to handle an adverse reaction. You should also consider the hygiene of the facility your treatment is being administered. Does the place appear clean enough? Does the injector follow standard sterilization procedures? Are needles/cannulas disposed of correctly? This may not be the case at some salons or spas. Dr. Amanda Patenaude is Board Certified as an Internal Medicine Specialist with a fellowship in Autoimmune & Autoimmune Skin Diseases. She is expertly trained with over 14 years experience in cosmetic procedures and surgeries. She is an associate physician of the National Society of Cosmetic Physicians and holds certification in neuromodular treatments (Dysport/Botox) and facial fillers (Restylane, Emervel & Juvederm). Call us today to schedule your complimentary cosmetic consultation with Dr. Amanda Patenaude 204-894-7486. During the winter months, your skin needs all the moisture it can get. There are plenty of ways to protect your skin from the elements, and practicing the following can help you keep your skin supple all season long. Dry skin be gone! 1. Use oil-based moisturizer: During the winter months, low humidity levels can steal the moisture right off of your skin. To replace what’s been lost to the elements, opt for an oil-based moisturizer. Oils are better able to adhere to your skin, providing longer-lasting moisture that can benefit you all day long. Look for non-comedogenic oil moisturizers, as these won’t clog up your pores. 2. Watch your shower habits: When it’s chilly outside, it’s tempting to hop in the shower and turn the water up to the highest temperature possible. Avoid giving into this temptation, and instead opt for lukewarm showers. Hot water washes away your skin’s natural oils, leaving your body and face dry and irritated. Also be sure to keep your showers short; the longer you stand under that running water, the more apt your skin is to dry out. 3. Blot your skin: When you’re drying off from a shower or after washing your face, be sure to blot your skin gently with a towel—don’t rub it! Rubbing a towel against your skin can cause friction that strips away your skin’s essential oils. Gently pat your skin dry instead and avoid tugging whenever possible. SkinRhümMD patients often ask this question. There are a lot of misconceptions when it comes to cosmetic injectables. People wanting Botox in their lips and Fillers in their forehead. Patients often assume the 2 are the same and can be used interchangeably. Here’s an easy tip for you to distinguish between Botox/Dysport and Fillers. Botox or Dysport relaxes muscles to soften lines while Fillers (such as Juvederm, Perlane & Restylane) restore volume or fill folds and deeper wrinkles. Facial creases and wrinkles, such as crows feet, forehead lines and frown lines, are caused with repetitive expressive muscle movements. Over time the consistent squinting, frowning & smiling can leave you with deep lines. These lines are visible when your face is relaxed. These wrinkles and facial fold’s result from a loss of skin elasticity. 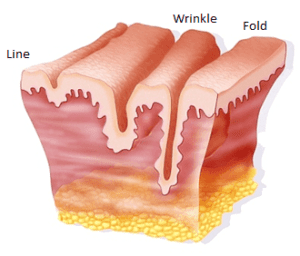 As we age the collagen in our skin breaks down and is slower to form, leaving the tissues to become lax. Botox and Dysport are great for these dynamic wrinkles because they relax the facial muscles causing the “angry lines” or “11’s” inbetween the eyes, crows feet and forehead lines. If you can no longer make these facial expressions over time the unwanted fine lines and creases will continue to soften and fade leaving you with a natural, smooth, youthful looking appearance. Fillers, which are a synthetic Hyaluronic Acid, work amazing for filling in static wrinkles. These folds are the result of volume loss. Fillers fill these facial areas (such as the smile lines, jowels, cheeks, temples) of lost volume safely and naturally. Botox, Dysport & Fillers are extremely preventative. With regular ongoing treatments (Botox or Dysport every 3-4 months & Fillers every 12-18 months) your lines and wrinkles will become much less deep and possibly even totally disappear. In some cases Fillers may even stimulate your own bodies collagen to form. The more routinely you have treatments the longer your results will last. These options are safe and offer highly predictable natural looking results. If you are interested in scheduling a complimentary consultation to find out if Botox, Dysport or Fillers are right for you call us at 204-894-7486. When is the last time you exfoliated your skin? In our twenties our skin sheds itself about every 25-30 days but as the skin ages, the rate of skin cell turnover slows down, leaving a dull, uneven, rough complexion. Regular exfoliation is necessary to maintain clear healthy radiant skin. Exfoliation includes the removal of the dead skin cells on the skin’s surface. Exfoliating the skin to unclog old make-up, dirt and oil build up will help to reduce acne breakouts and improve the penetration of your other skin products. Mechanical exfoliation can be achieved at home using mildly abrasive scrubs, such as Zo Obagi Exfoliating Polish daily or more aggressively with medical microdermabrasion treatments in the office. Microdermabrasion treatments will quickly remove large amounts of dead skin to deliver exceptionally smooth, deeply cleansed skin with little to no downtime. Chemical exfoliation involves using products, such as Zo Obagi Glycogent, that contain special kinds of lactic and/or glycolic acids to dissolve and remove the dead skin cells while simultaneously stimulating new skin cell renewal without manually scrubbing. Medical grade .5% and 1% retinol products, such as Zo Obagi Radical Night Repair, will also promote skin cell turn over helping to shed the outer layer of dead skin cells. The cross section of the skin in the image below shows the benefits of regular exfoliation. Skin specialists have found that the benefits of exfoliating are even greater during the winter months, as dry skin cells are more concentrated on the surface of the skin due to lower humidity levels. These are important to remove in order to bring fresh skin to the surface. Dr. Patenaude highly recommends the following 2 medical grade exfoliation products to keep your skin looking its brightest. Zo Obagi Exfoliating Polish is good for all skin types. Round magnesium crystals exfoliate dead skin cells, increase epidermal turnover and create a clearer, smoother, more even-toned complexion. It helps to exfoliate dead skin and allows for better absorption of other products. Zo Obagi Glycogent exfoliation accelerator is engineered to help reduce inflammation and prevent future damage. Active ingredients enhance cell turnover and help correct skin discoloration. Potent glycolic and lactic acid complex provides skin surface renewal. Anti-inflammatory properties help minimize the appearance of irritated skin. Exfoliation is an important step in your skin care routine to help expose the younger-looking skin below the surface. If done consistently, you can improve your skin’s texture, minimize breakouts and help stimulate the production of new cells and collagen. If you want healthy and glowing skin, you need to exfoliate. If you are interested in reviewing your exfoliating options with SkinRhümMD call us to schedule your complimentary consultation at 204-894-7486. 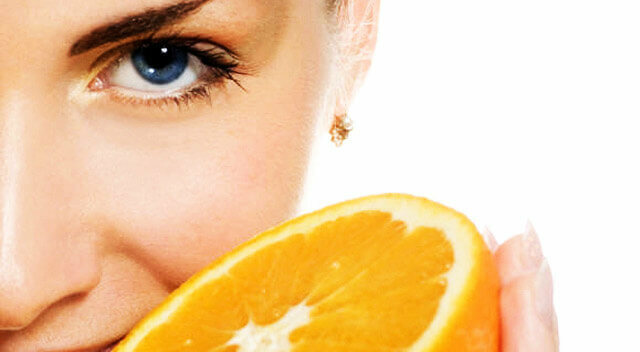 We have all heard about the benefits of vitamin C, additionally known as ascorbic acid, when it comes to warding off colds and flu’s but vitamin C serum is also the key to the production of collagen, a protein that aids in the growth of cells and blood vessels which gives skin its firmness and strength. vitamin C serum also helps your skin repair itself, providing potent antioxidant protection from free radical damage that causes premature aging. Enter Zo Medical C-Bright 10% Vitamin C Serum, this formula provides a high dose of vitamin C that is stabilized to brighten, plump and re-texturize the skin. C-Bright Vitamin C Serum uses the power of pure vitamin C to rapidly exfoliate the skin’s surface simultaneously going beneath the skin to prevent new melamin pigment (brown spots) from forming. Environmental factors such as the sun, pollution and oxygen are compromising your skin’s health every day. Taking vitamin C orally can enhance the effectiveness of sunscreens applied to your skin for protection from the sun’s harmful UV rays. It does this by decreasing cell damage and helping the healing process of bodily wounds and corrupted skin. Vitamin C eaten in the form of citrus fruits, green leafy vegetables, strawberries, papaya, broccoli as well as topical daily application with Zo Obagi C Bright Vitamin C Serum help to defend against these harmful triggers that cause inflammation, fine lines and brown spots. An overall brighter skin tone and reduction in lines and wrinkles occurs over time with the use of topical vitamin C serum products at high medical concentrations. If you are interested in finding out more about the benefits of vitamin C serums call SkinRhümMD today to schedule your complimentary consultation at 204-894-7486.